If the NHL All Star skills competition taught us anything it’s that gender stigma still exists in sport. And it shouldn’t. Last weekend at the NHL All Star skills competition the show was stolen by the women and deservedly so. Kendall Coyne-Schofield, an Olympic gold medalist for the U.S. women’s hockey team, broke barriers by being the first woman to compete officially in the skills competition. Her time in the fastest skater competition, 14.346 seconds, was incredible and beat out Clayton Keller of the Arizona Coyotes who clocked in at a time of 14.526. 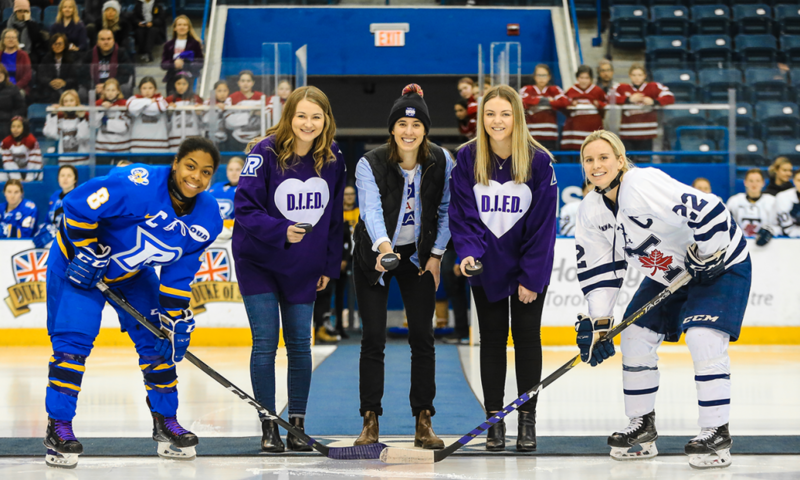 Her performance shattered stereotypes around women’s hockey, but that didn’t stop some hockey fans continuing a sexist narrative when it comes to women in hockey. Many fans on Twitter looked to discredit her performance and point out that the NHL All Stars competition wasn’t a game and that she still can never compete with men. McGuire’s comments show the sad, insecure attitude that some male hockey fans carry; the idea that boys can’t lose to girls and that women requires things to be “mansplained” to them.The fact that an amazing performance by Coyne-Schofield was overshadowed by people feeling the need to discredit and devalue her skills is wrong. Female accomplishments should be celebrated and promoted by all, especially in sports dominated by men. This would show little girls that they can be like these amazing female athletes and strive to reach the Olympic level themselves. Younger boys can also benefit from more celebration of female athleticism. These younger boys can see that women are incredible athletes and as they grow up, the current sexist views on women in sports will fade. Coyne-Schofield put on a performance for the ages but wasn’t given any credit. This will have a historic and long lasting impact, not just in the world of women’s hockey, but the sport as a whole. Was the Sports Editor at the Ryersonian in the Winter of 2019.